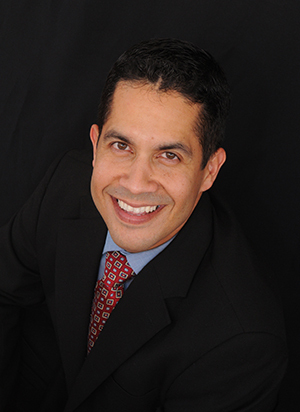 Areito Group is led by Eddie Perez-Ruberte. Eddie Pérez-Ruberté is a Lean Healthcare consultant, author, speaker and blogger. He is currently Senior Lean Project Manager at BayCare Health Systems in Clearwater, FL overseeing the deployment of the lean culture throughout the 14-hospital System. He helps organizations develop and implement Lean programs through his consulting company: Areito Group. He is a former Operational Excellence Manager at Honeywell in Phoenix, Arizona, and more recently he was Lean Healthcare Consultant (Health Systems Engineer) at Mayo Clinic. He has taught, deployed and implemented Lean concepts in healthcare, manufacturing, aerospace and nonprofits. He has worked with some of the biggest healthcare organizations in Florida. He has facilitated events at sites in the United States, Mexico and Puerto Rico. He is fully bilingual (Spanish & English). Eddie was a certified facilitator of the Honeywell Operating System, delivering training to more than 500 associates implementing Lean-driven improvements. Eddie has held an appointment as Instructor of Health Care Systems Engineering for the College of Medicine at Mayo Clinic, where he taught basic and advanced courses on Change Management, Lean, Six Sigma and other Quality Improvement Methodologies. Eddie speaks about applications of Lean in Healthcare at conferences and he is available for speaking engagements, training or facilitating workshops to help your organization achieve higher quality, higher employee engagement and higher customer/patient satisfaction. Eddie offers corporate and individual training in a classroom environment as well as online (self-paced). He is also an instructor for the Institute of Industrial and Systems Engineers, creating and delivering lean and six sigma courses across the United States and abroad. Eddie obtained a BS in Mechanical Engineering from the University of Puerto Rico and MS in Aeronautics and Astronautics from Purdue University. Eddie is a Certified Lean Expert (Lean Black Belt) from Honeywell and a Certified Six Sigma Black Belt (CSSBB) from the American Society for Quality (ASQ). He consults with ASQ as a Subject Matter Expert (SME) for the CSSBB Curriculum. He is currently the chairman of the Board of Directors for the Jacksonville Lean Consortium. He is the Communications Chair of the Western Florida Chapter of the American College of Healthcare Executives (ACHE). He is a track chair for the Healthcare Systems Process Improvement Conference. He is the chairman of the Southwest Florida Section of the American Society for Quality. He is the chairman of the Bridges Leadership Society in Sarasota, an initiative of United Way Suncoast. He currently lives in Sarasota with his wife.